Imagine having the confidence to know the best choices to have energy & be healthy at every age. My 4-month gut & immune system plan that’s designed around the concept of bio-individuality. Translation? 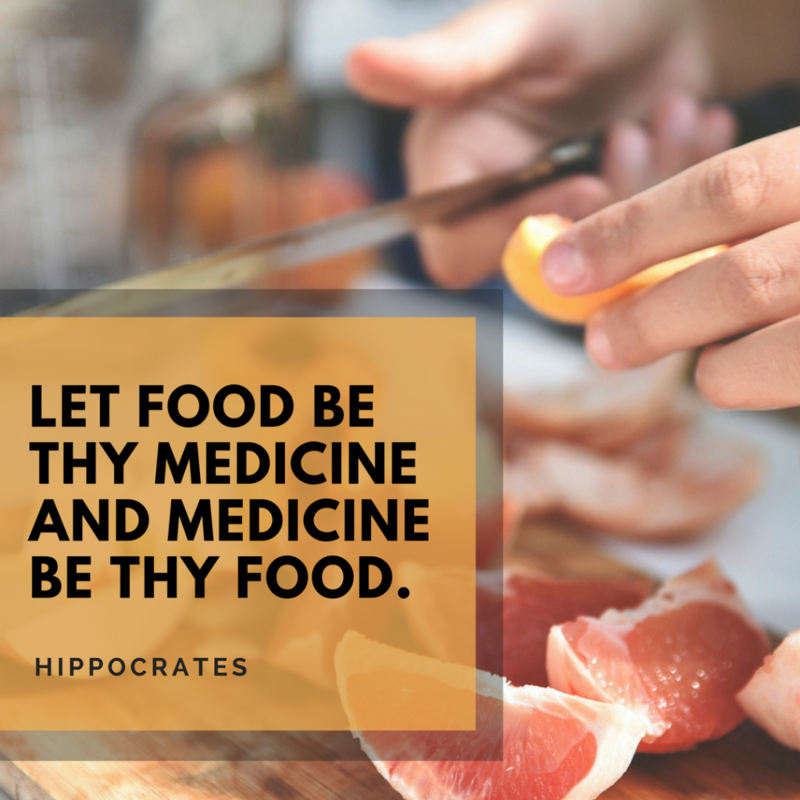 I know there’s no one magic cure for anyone…especially when it comes to your gut health. And that’s what I’m here to help you learn over the course of 4 months. Did you know that the health of your gut will make or break your overall health? You heard me right—if your gut health is off kilter, every system and organ in your body is going to be just as shaky. Yes…you can most likely chalk that all up to poor gut health. So let’s do this. Together! 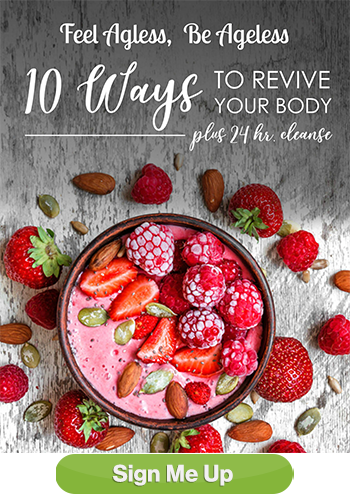 A weight loss e-Guide that touches on each aspect of what you need to do, step by step, to drop weight within the first 21 days and reset your body for success. 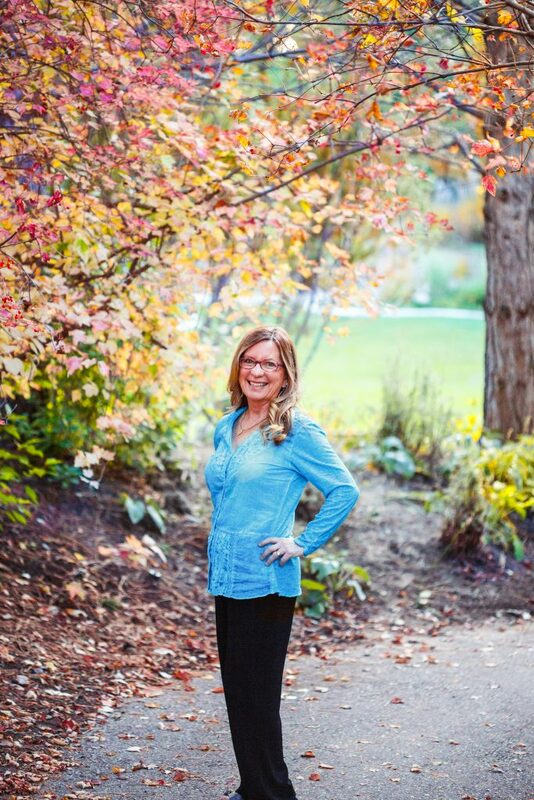 I coach you through the rock-solid foundational holistic health basics, like how to balance blood sugar, improve metabolism and ramp up overall health in the process. All while shedding pounds! Bi-weekly, jam-packed eBooks overflowing with every piece of information you need to get the results your body craves—think of it as the ultimate go-to resource guide for your gut! 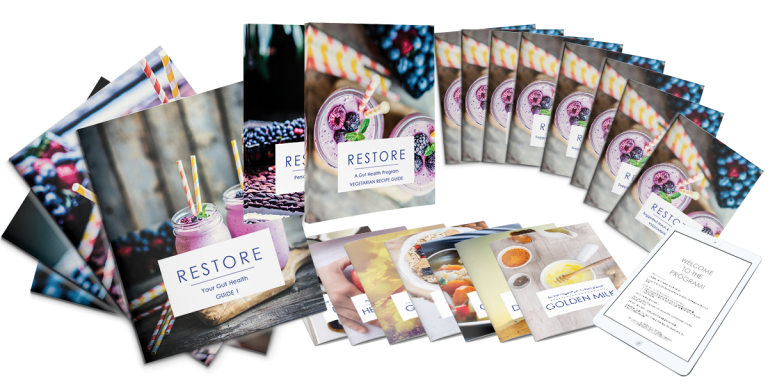 A mouthwatering Recipe Guide packed with over 59 chef-approved food and drink recipes to keep you nourished, satisfied and toxin-free! Suggested meals to make gut rebuilding easy as 1-2-3. for the entire 4-month period—yes, you heard that right—no need to plan for (go ahead and take a deep breath)! I made life easy for you. 8 Shopping lists to make your trips to the supermarket 110% hassle-free! Email support from yours truly—I’m here to help you succeed! A Food Diary so that you can reflect on how your meals make you feel and unleash your maximum potential! Your gut health makes up 70% of your immune system; therefore, if your immune system is chronically compromised, it’s likely due to poor gut health. You gut is referred to as your body’s second brain—if that’s not enough to convince you of its importance, I don’t know what is. Poor gut health causes auto-immune diseases, hormonal imbalance, mental illness, diabetes, weight gain, skin issues and countless other problematic conditions. Once you rebuild the health of your gut, you’ll look and feel like a brand new person. This 4-month journey teaches you how to eat foods that are healthy and delicious but that also SERVE your body… and you’ll never have to count a single calorie. 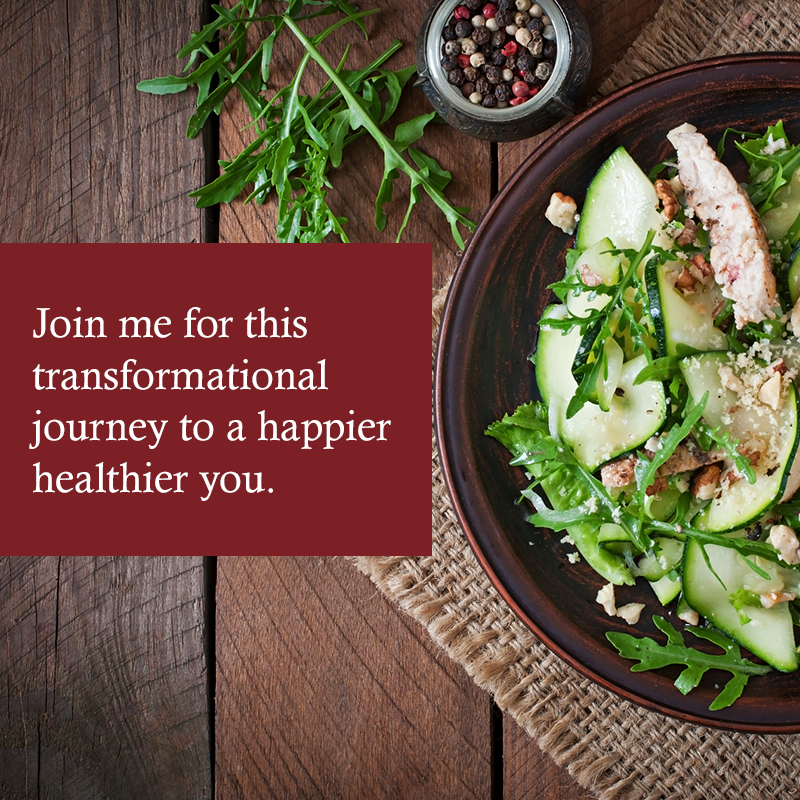 Instead, you’ll learn how to effortlessly meet your health goals. The outcome? Feel Ageless, Be Ageless! You’re about to embark on a life-changing experience, because you’re about to ditch the “miracle cure mentality” forever. Tactics for crowding out the bad stuff, so you can bring in yummy foods to replace them – no deprivation here! "I could not believe how amazing I felt after 2 weeks. I had no idea grains were making me so tired and bloated. I had no energy. I was eating sugar and could not give it up. I started this program and wrote in my food diary daily. I had an ah-ha moment when I ate oatmeal and felt exhausted. 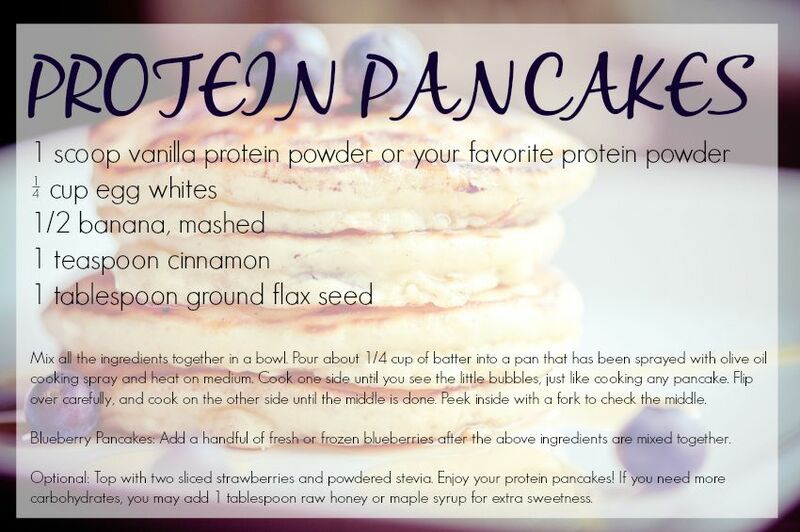 Since I gave up grains, no more rumbling in my stomach. Thank you. Thank you." Feel healthy at every age! Just a simple, 4-month program delivered straight to your inbox. "I was gaining weight and yet I was not eating too much food. I could not figure out what was wrong. I thought I was eating healthy but realized I was eating foods that were not right for my body. I learned about probiotics and cultured foods. I also learned I needed to change the way I reacted to stress and this program helped me. I am grateful to have my life back." You don’t even have to leave the comfort of your own home to join. Interested in extra support? Contact me for more info about 1:1 coaching to support you throughout this program or in making sustainable changes that will help you reach your health goals. I’m so excited! Let’s get this journey started! It is important to consult your physician before beginning any new eating or exercise program. 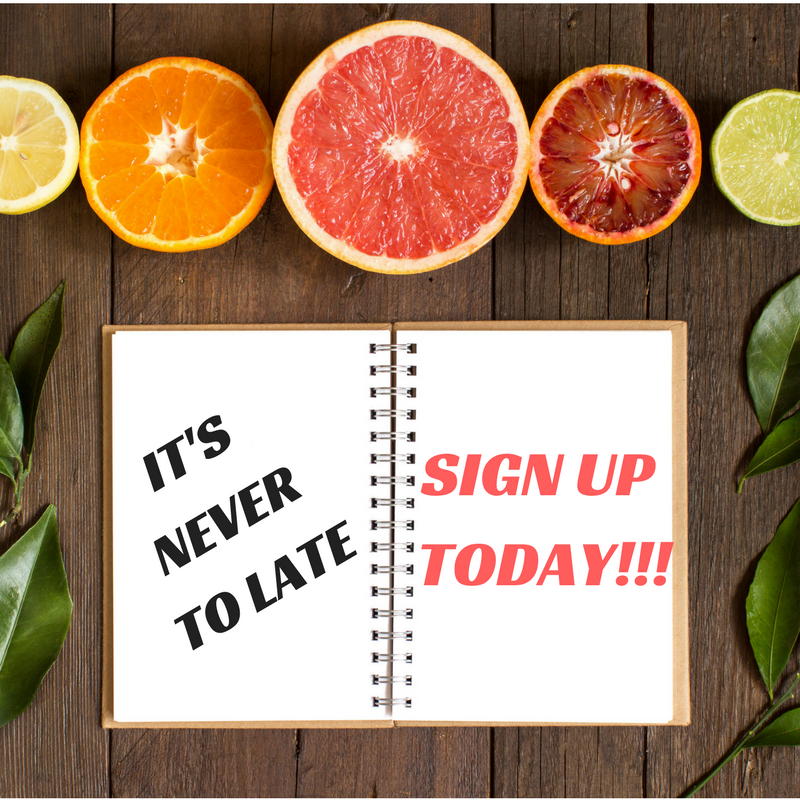 This is a clean-eating program designed to teach you the difference between foods that inflame you and foods that fuel you. Due to the digital nature of my programs, REFUND IS NOT AVAILABLE. Payment is processed securely through PayPal. You do not need to have a PayPal account to make a payment. When you arrive to the PayPal payment page, choose the debit/credit card option and pay as a guest when you checkout.